Opposition leader of the National Assembly and Pakistan Peoples Party leader Khursheed Shah has said that Nawaz Sharif has never given respect to the parliament. 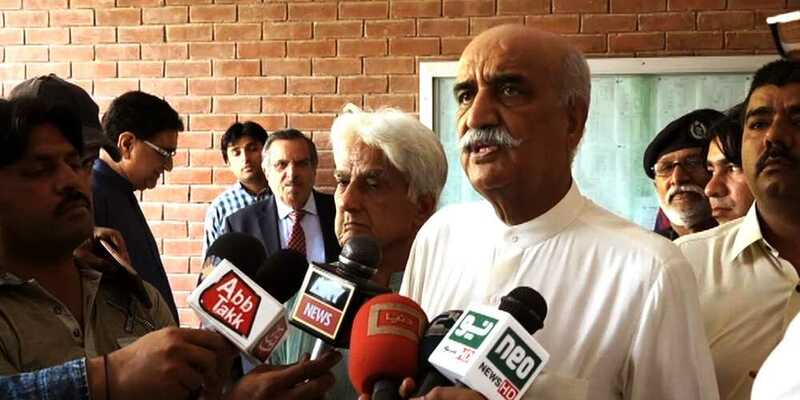 Speaking to media during the visit to IBA University, Sukkur Khursheed Shah said that everyone starts remembering the public as soon as elections approach near. But when they are over then they are nowhere to be found. Leader of the opposition in the National Assembly Syed Khursheed Ahmed Shah said that the current government didn’t had the mandate to present a 13 month budget instead of 3-4 months budget. He said that Nawaz Sharif chants about giving the respect to vote but he has never given the same to the parliament. Talking about the load shedding Khursheed Shah said that the rulers in Lahore steal electricity more than SEPCO and HESCO. He said that there is no load shedding in the homes of ruling party, yet people living in villages are faced with load shedding.